1929 Born 10 January, Southampton, but raised in Plymouth. Mother Ella, ex-shop assistant, pillar of the Townswomens Guild. Father Albert (Bert) apprenticed shipwright, ship’s agent, wharfinger. 1934 Hyde Park Elementary School. 1940 Devonport High School. School certificate, matriculation. 1947 Assumption that I would go to work at the wharf not attractive. I enjoyed the ships but not the office. 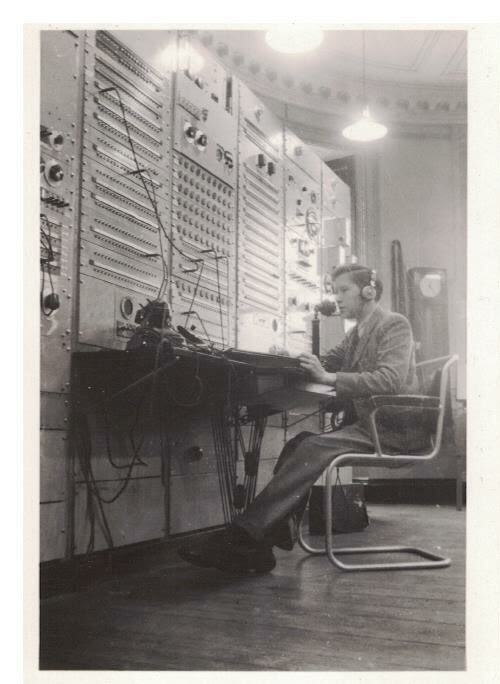 1948 Jan. World Service radio as Technical Assistant grade 3 in the Control Room, Aldenham (broadcasting to the middle east and latin America). Saw how much more fun it was being involved with productions, swopped to be a junior programme engineer, then jumped the fence to the Programme Division as Assistant Studio Manager. 1950 To Bristol and the West of England Home Service. Spot effects and multi-disk ops, giddy heights as music SM. Made myself useful to Features Producer Desmond Hawkins (pioneer of wildlife programming, though we also worked on drama-docs, folksong, zoo and circus progs!). National radio series The Naturalist, Birds in Britain etc. 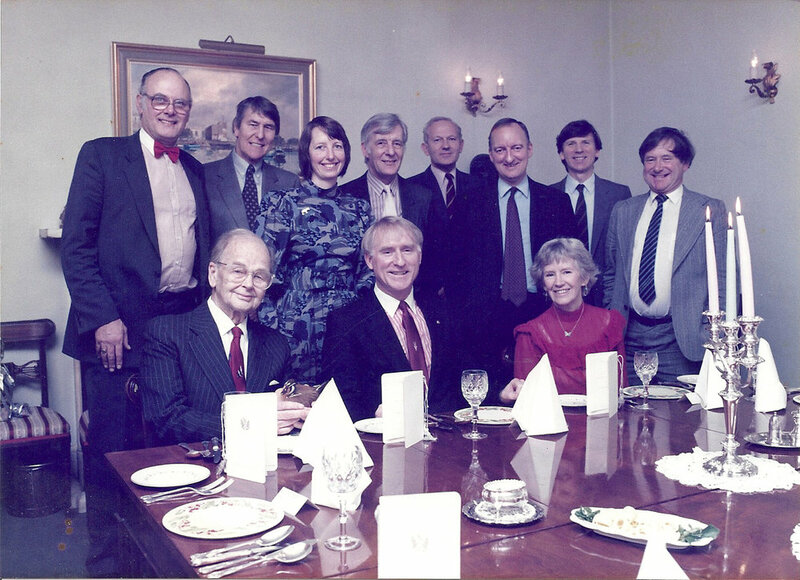 Peter Scott was one of our main contributors (Others were James Fisher, Brian Vesey-Fitzgerald, Max Knight – later revealed as ‘M!’), we discussed potential of the infant telly. 1951 Desmond and I went to a Colston Hall lecture in which Peter Scott chatted, sketched pictures on an easel and showed grotty 16mm film of his Iceland expeditions. It was obvious, at least to us, that the formula was made for telly. Desmond lobbied Controller, West Region for a live broadcast from the wildfowl collection at Slimbridge. Meanwhile I concentrated on other radio projects. 1954 Assistant Producer, Features, Bristol. 9 Jan First live OB on television. Wild geese in winter, from the Wildfowl Trust at Slimbridge. Producer Desmond Hawkins, directed by Nicky Crocker. Still a radio studio manager, I moonlit as unofficial assistant to floor manager Pete Bale. We still wanted to break into prime-time telly with a regular series, but at this stage produced occasional studio one-offs. 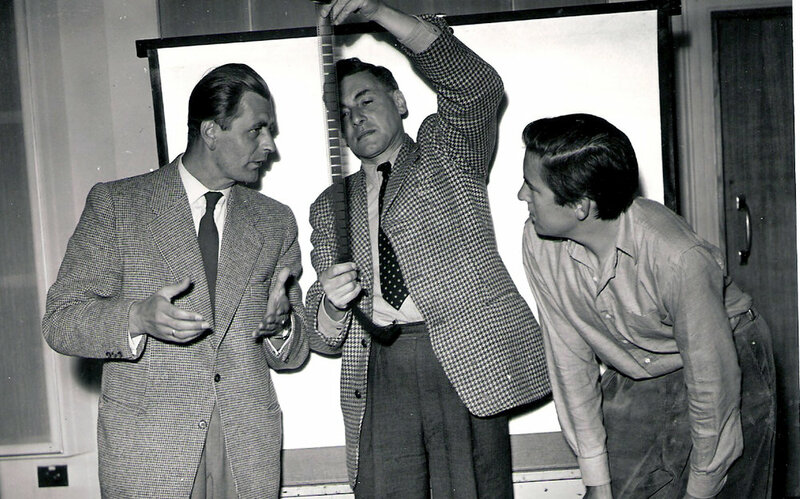 One of the early one-off programmes was in December 54, an edition introduced by Bruce Campbell, at that time boss of the British Trust for Ornithology. They were planning a census of the mute swan population. I got a film unit from London (we didn’t have one in Bristol) and shot a simple introduction to the bird. In 35mm, of course! Result of the broadcast was 2,000 viewer’s records of mute swan nests in the UK. From the point of view of the BTO this was a staggering response which had a long-term effect on their relationship with the telly. 1955 Jan Woodpeckers. First studio-based interview with film inserts format. 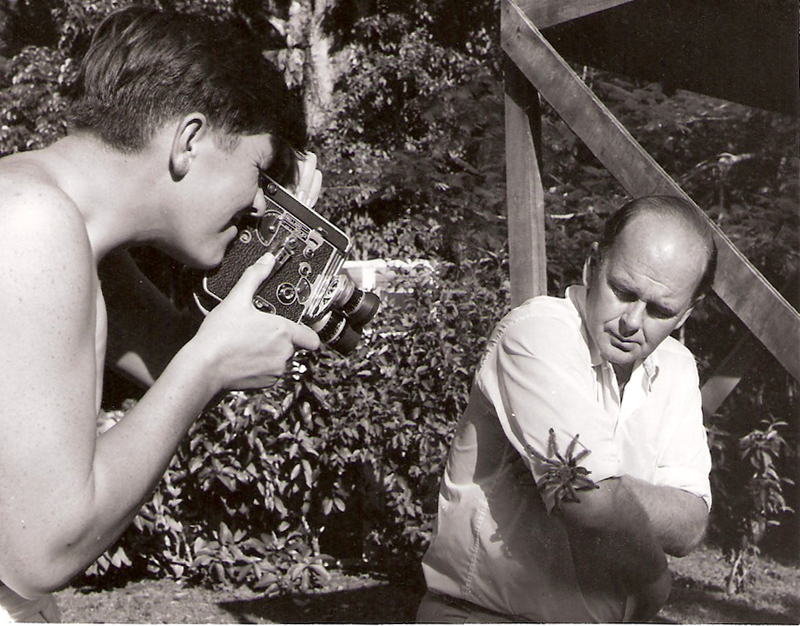 Heinz Sielmann interviewed by Peter Scott at Lime Grove, produced by Desmond Hawkins. Critical and ratings sensation. Controller wanted more. My job to find new film material and contributors, rough-edit 16mm film in a make-shift cutting room in Bristol and liaise with James vans Colina at Lime Grove (only editor at that time who had 16mm facilities, regarded by Film Dept and movie cameramen at large as little short of a joke, till the Corporation realised the economy and quality of 16mm and it became the standard until the digital age). 1956 Producer, Features, Bristol. Produced series Look for the 56/57 season. Great ratings, in spite of one epic disaster, Cats. I solemnly wrote Desmond (now promoted to Head of West Region Programmes) a formal memo encouraging him to set up a ‘Wildlife Unit’! He lobbied Frank Gillard, ex-Controller, West Region). 1957 Like David Attenborough (who was producing Zoo Quest in London), I was sounded out by the new West Region Controller but had no desire to be head of the inevitable specialist unit. More interested in making programmes than overseeing them. March Look-the story of a falcon, with James Robertson Justice. James Robertson Justice, Peter Scott, TS in the BBC Bristol club. In May the Bristol OB unit decamped to Hamburg where I produced a live programme from Hagenbeck’s famous zoo, presented by James Fisher. September. Formation of the Natural History Unit (NHU), making an honest woman of the well-established wildlife tradition of the West Region’s BBC. Nicky Crocker, OB producer, became first Head. Chris Parsons arrived as film editor. Till that time nominally a radio producer, I was confirmed as the unit’s film producer. Having enjoyed ‘My family and other animals’, I rang Gerry Durrell and persuaded him (without much difficulty) to offer his rackety film footage for assessment. Produced first Durrell series ‘To Bafut for Beef’, 3x30mins (Chris Parsons improved the film element and refined subsequent series). Trained as a scuba and hard-hat diver, wangled the BBC’s first underwater casing from Bolex. Produced the diving series Adventure with Hans Hass, a happy eighteen-month collaboration with Hans and the lovely Lotte. 25 Dec Plapp, oil pollution story, based round a weakly cormorant rescued on a seal-ringing expedition with Ronald Lockley in Pembrokeshire. Filmed by me in the summer on Scilly, incuding underwater footage. Written and narrated by Johnny Morris. Big success at the time, tediously snail-paced today! 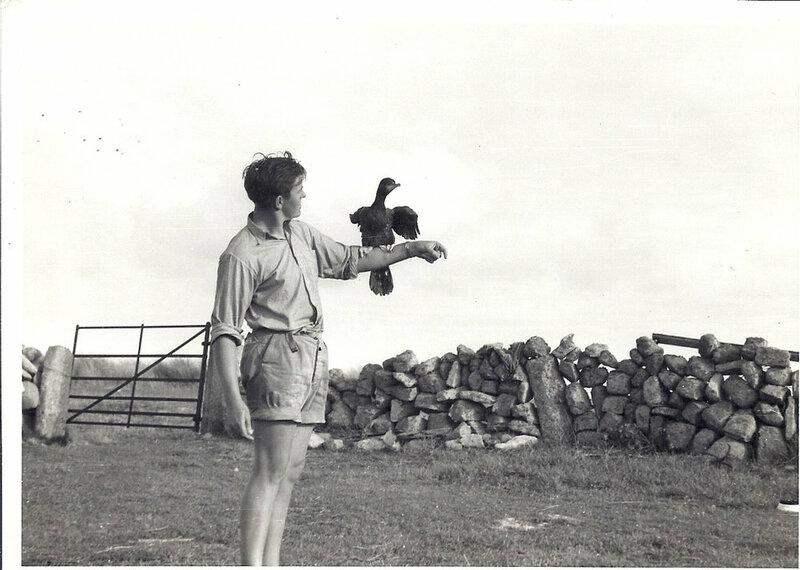 1959 Bruce Campbell (ex BTO and a serious ornithologist)) took over from Nicky Crocker as Head of the Unit. (‘Welcome to show-business’, we said, tongue-in-cheek). On the way to the Galapagos, Scott showed his enthusiasm for spiders in Trinidad. Scott and wife Phil colonised the wheelhouse of the Ecuadorean Navy’s patrol vessel, I slept on the floor in the crew’s bunkhouse, trodden on enthusiastically in the middle of the night. 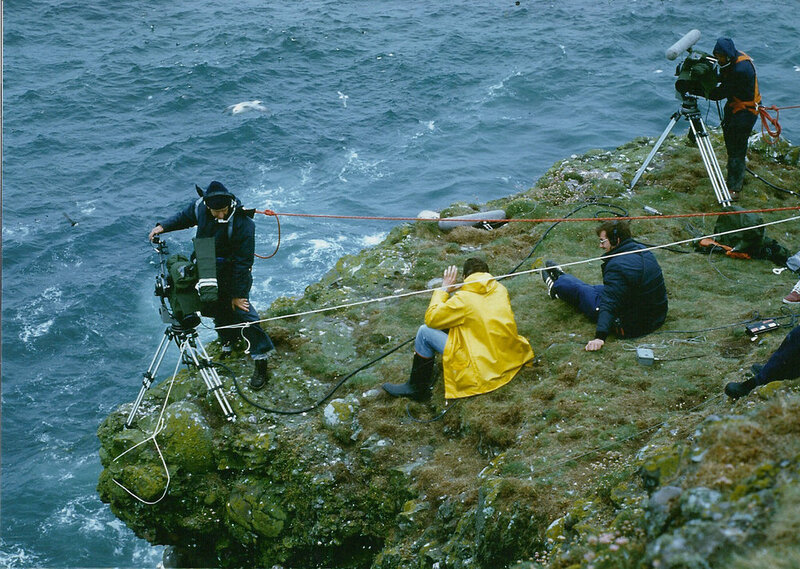 In the summer I filmed Ronnie Pearson’s attempt to persuade a young common seal to act as his underwater horse, the title of our short movie shown in December. 1960 17 Jan Married Rae Francis (divorced in 1969). First on-screen job as presenter. Children’s programme Out of Doors (following Bruce Campbell) with Les Jackman. Produced by Winwood Reade. 1961 March. Producer/cameraman on an expedition New York/Bahamas along the Intra-coastal Waterway with diving buddy Trevor Hampton and his motor yacht Dubhe. Waterway 3x30 mins. 1962 Magazine series Animal Magic. BBC1. 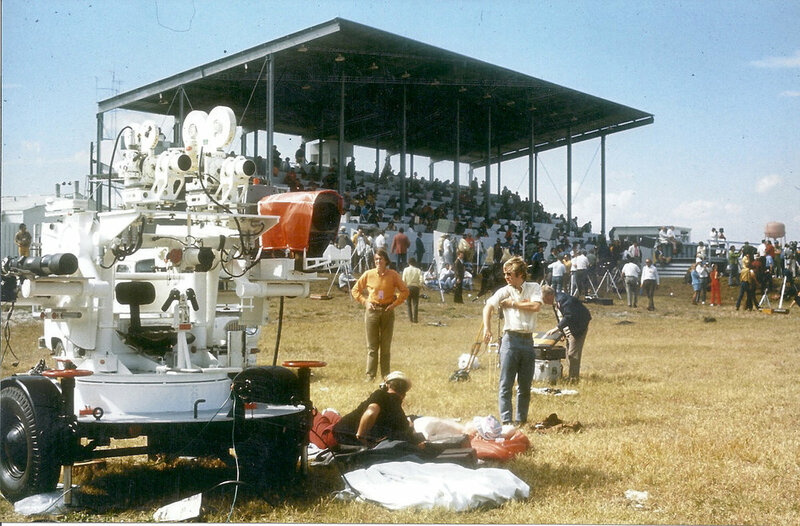 Animal Magic was Johnny Morris’s triumph. He was brilliant at making animals talk. As second-fiddle, I was supposed to represent straight nat hist! Enjoyed for several years but left on realising if I didn’t look out I too would be indelibly tarred with the anthropomorphic brush. Replaced by Keith Shackleton who also had doubts and then Terry Nutkins. 1963 Resigned to freelance and live closer to the sea back home in Devon. Grace Georgina, one of a string of old fishing boats and gaffers. As freelance, yet more Looks on BBC2 as writer/producer. ?Shelducks, Pigeons. Many radio contributions. 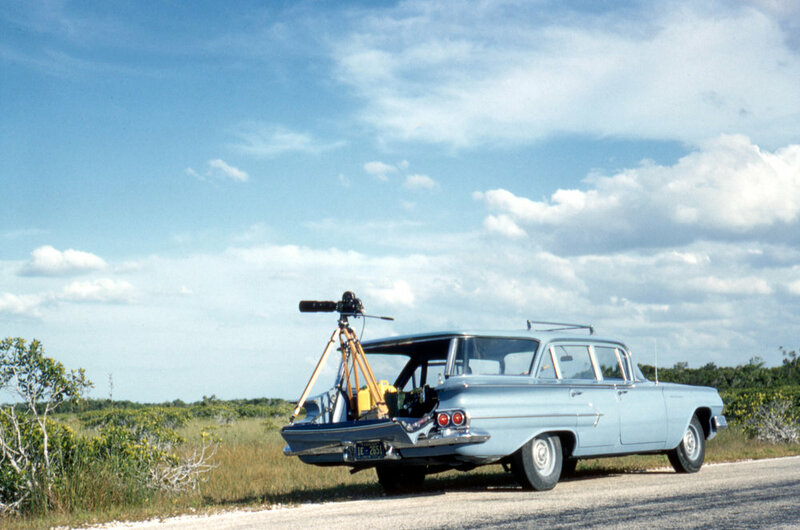 1965 Several years as wildlife correspondent for the Westcountry news mag Spotlight Southwest. October The Bird Table Book. My first book (spawned from a Spotlight item, published by the Spotlight transport correspondent!). Unexpected and much-translated international best-seller, it revealed the massive but largely unrecognised interest in ‘through the kitchen window’ birdwatching. Much encouraged, more books followed. None remotely matched its sales figures. 1967 28 Oct The avocet cruise. Supporting an RSPB appeal I organised an excursion up the Tamar estuary to see the wintering avocets. 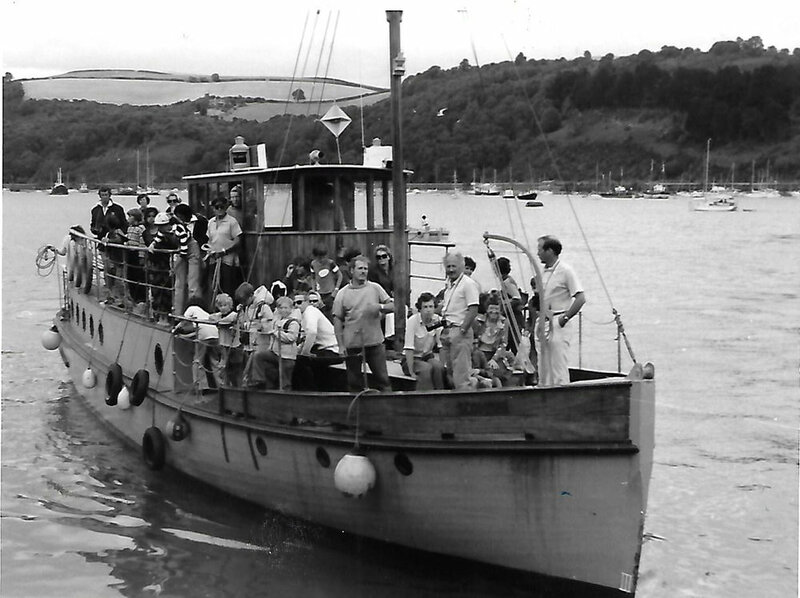 It was so successful, I ran annual avocet cruises on the Tamar using tripper boats till finding my own passenger vessel (see 1973/74). 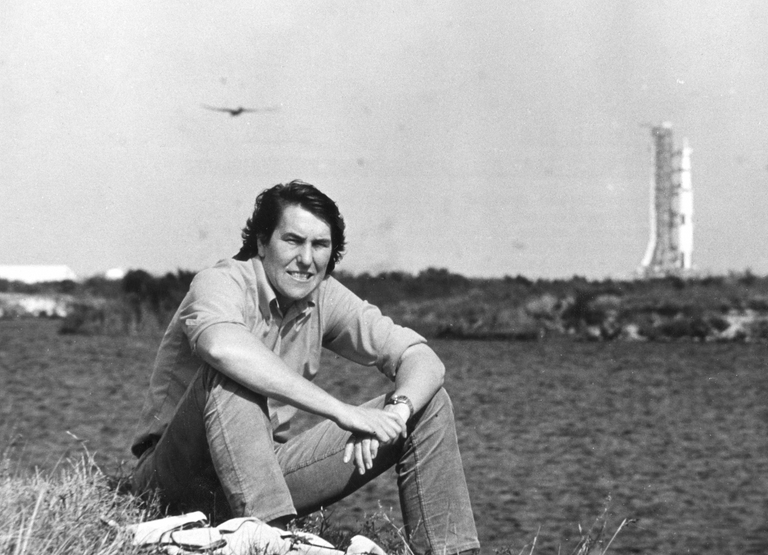 1970 Wild World, producer John Sparks. Anchor, with Hilary Brooke. Then my on-screen career took off! Married Hilary Brooke, painter/printmaker hilarysoper.co.uk. Sons Tim, co-founder of an expedition company eyos-expeditions.com and Jack, radio producer jacksoper.com. 1972 Series Soper at Large, produced by John Sparks. 1973 and 74 This was my Walter Mitty period as Captain of a 60ft passenger vessel exploring the coast and estuaries of the southwest with Hilary Brooke. Scomber, highly successful, except financially. 1976 A taste for adventure, Climbing Kilimanjaro. Prod Ned Kelly. 1977 The avocet cruise, Coneygarth to coy. Filming for BBC Plymouth, with Brian Skilton. 1979 Series Beside the Sea, produced by Judy Brooks. 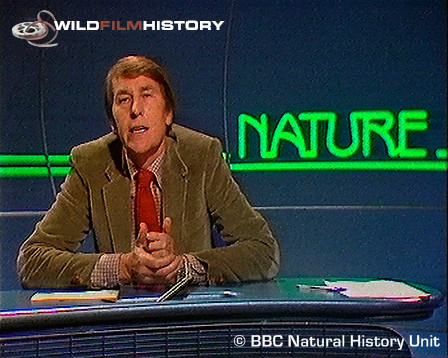 1980 The first live Birdwatch programmes (precursor of the Chris Packham Springwatch string), jointly presented with Roger Lovegrove, annually 80-88. 1983 Magazine series Nature, produced by John Sparks. 1987 Birdwatch, cormorants at the Nardermeer. The end of an era 2. Leaving party for Peter and Phil Scott, hosted by John Sparks, December. Alan Yentob (Controller, BBC2, at that time) didn’t like Go Birding (good friend producer George Inger and I had fought through much of it). The Head of NHU at that time was a rather weak boss and he invited me to take a long walk but drop in for coffee now and then. P&O had been encouraging me to lecture on cruise ships, accompanied by family. 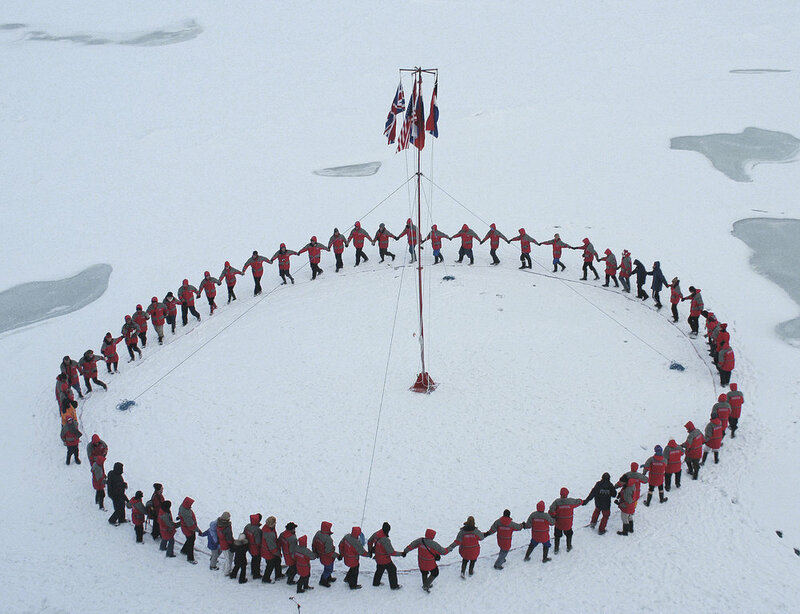 Highly enjoyable, this blossomed into a secondary career leading wildlife cruises worldwide and developing seamlessly from 1992 into work as leader/lecturer for expeditions in chartered Russian research vessels and icebreakers to polar regions and far-flung wildlife seas which paid the bills till 2012. Freelanced on, nurturing an enjoyable polar guide relationship with travelguide publisher Hilary Bradt and dipping toes into self-publishing with the first guide to the Northeast Passage. Open to offers of most kinds.